A great talent, he could've had such a great career. I think "My Own Private Idaho" was probably his best role. He was really good in "Explorers" too. May he rest in peace. 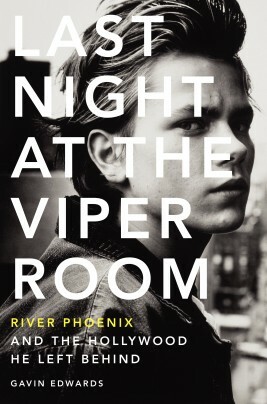 It's a well-documented slice of Hollywood history where River Phoenix went the night of his untimely death, but what's lesser known about is the halted production that the young actor was shooting at the time. Dutch director George Sluizer was ten days from wrapping on his film with Phoenix, “Dark Blood,” when he received news of his lead actor's death, and from then on the film was never released or spoken of again. However, since we last received news that Sluizer was forging on ahead, re-assembling the film as a tribute for completion and release, now there's an update and trailer to further hint at what remains of Phoenix's final role. Given Sluizer's previous films, including the suspense classic “The Vanishing,” there's little doubt that “Dark Blood” contains some fantastic footage, but for now the focus still remains on its editing stages. From the CineCrowd website, Sluizer hopes the film “will have its world premiere at the Dutch Film Festival later this year, provided the post-production budget gets fully funded.” As is also the requirement these days for crowd-funded projects, Sluizer has a tier-based reward system set up, with the lowest getting a personal thank you card, and the highest receiving a producer credit on the finished film. Since the Phoenix family is apparently none too happy about Sluizer's attempts, it's unfortunately down to the director and his team to see that the finished film gets released. Hopefully though, with a little help from the public, “Dark Blood” can be finished to as close a perfect version as possible, and will see its first showing in September as planned. Until then, check out the trailer and interview below. Okay, so here's the background: A little over a year ago, director George Sluizer announced that he was going to finish River Phoenix's final film "Dark Blood," by re-cutting the footage and using voiceover to patch up narrative gaps. The Phoenix family washed their hands of the effort, releasing a statement that they would not be participating in the venture, but Sluzier pushed on. Overcoming some legal hurdles, and finding a way to finish the movie that only had 11 days left to shoot when Phoenix died, he crossed the finish line and at the Dutch Film Festival last fall, premiered the completed work. And now, it's coming to the United States. So, we'll soon see the results. No word yet on if there will be theatrical release of some kind, but perhaps keep your eyes peeled on festival circuit for now. The Miami International Film Festival runs from March 1-10. I saw some Biography or that type of thing on River recently. It was weird to hear his brother's young voice on the 911. Sad last day. He was working with an actress he admired who seemed to be very cold to him on set (filming a love scene no less), and then he hoped to play guitar at The Viper Room, but Flea wouldn't let him play that night. I had always heard about the Depp/Viper Room connection, but not the Flea one. Whoa, this is the red band trailer! Hey Wilder, we any closer to seeing this thing or what? Ok, the main thing that struck me is…I always just assumed that River had dosed himself. It had been a conundrum for me, how he decided to do that much coke and heroin in this exact place at that time, why? The way this author explained it, he was basically drugged, yet he was still abusing those same drugs heavily around this time, so he was open to use, but as this writing points out, he wasn't aware of it. Which I'm not sure is the case, but if it is, makes his death even more tragic. He'd apparently been clean for 2 months during the shooting of Dark Blood and just relapsed the day before this night. There's just so many different things going happening at once on this night. It feels like a cosmic event. Enjoyed those pages you shared. I'll have to read the book at some point. I might be getting my history wrong, but isn’t there some thought that DiCaprio’s career really took off when he started getting the roles River would have been offered had he lived to see the light of day? If that’s the case DiCap’s near brush with him the night of his death is even more bizarre and haunting. 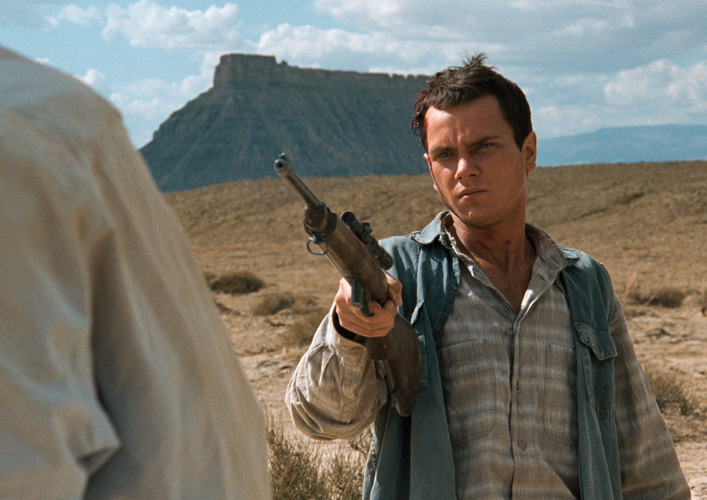 As far as Dark Blood goes, there's no word on US distribution yet. It's "available", but not in great quality. When River Phoenix sadly passed away at the age of 23 in 1993, there were eleven days left to shoot on what would be his final film, "Dark Blood." And as you might imagine, production halted following his death. But in 2011, just under two decades since the project was stopped in its tracks, director George Sluzier endeavored to finish the film by re-cutting the footage and using voiceover to fill in the parts that weren't shot. The result? Well, we saw it in Berlin and essentially, it acts better as "a fitting and ironic tribute to a life ended before it could be finished" than a movie, perhaps, but you'll soon be able to judge for yourself. Lionsgate has snapped up the U.S. rights to the film, and will be releasing it on VOD. But more interesting, we're curious to see the reaction of the Phoenix family given that they have indicated they have no interest in participating in anything to do with "Dark Blood." Check out the press release below. The feature film is directed and co-written by George Sluizer (THE VANISHING, THE COMMISSIONER) who spent years battling to complete the film. In 1993 the insurance company of the film attacked River Phoenix for drug abuse , lost the claim in 1998 and decided to destroy the negative of Dark Blood, but Director George Sluizer managed to save the film and preserve the creative talent from being lost. 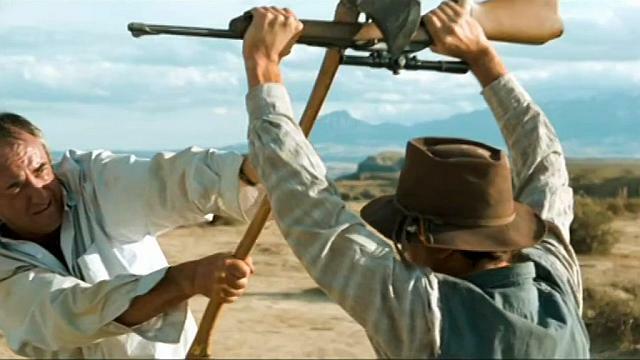 In 2012 he was able , using the existing negative, to edit and finally give life to the unfinished movie DARK BLOOD. DARK BLOOD co-stars Judy Davis (BARTON FINK, HUSBANDS AND WIVES) and Jonathan Pryce (BRAZIL, PIRATES OF THE CARIBBEAN). DARK BLOOD was invited in the Main Program of the International Film Festival of Berlin in 2013 and received standing ovations. It was further invited at the International Festivals of Miami, Hongkong, Istanbul, Copenhagen, Bucharest (Transylvania), Seattle, Moscow, Jerusalem, Durban, Montreal, Split (Croatia), Sao Paulo, Taipeh (Taiwan), Glasgow and Brussels, and the European Film Academy. 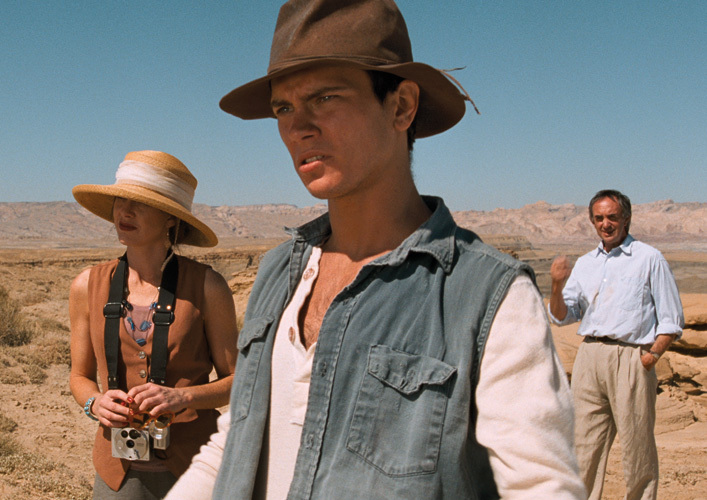 DARK BLOOD tells the story of Boy (Phoenix) a young widower who retreats to the desert after his wife dies of radiation following nuclear tests near their home. Boy is waiting for the end of the world and carves Katchina dolls that supposedly contain magical powers. Harry (Pryce) and Buffy (Davis) travel to the desert on a second honeymoon in an attempt to save their marriage. Their Bentley breaks down in the middle of nowhere and Boy rescues the couple. Haunted by the memories of his wife, Boy holds them prisoner because of his desire for the woman and his ambition to create a better world with her. DARK BLOOD is currently in theaters in Japan under Culture Convenience Club, scheduled to be released in Brazil with Esfera Filmes, South Korea with AUD Cinema, and in Turkey with Digiturk.